After using so many months Fab Bag, I'm quite addicted to these now and just wait every month for their arrival. 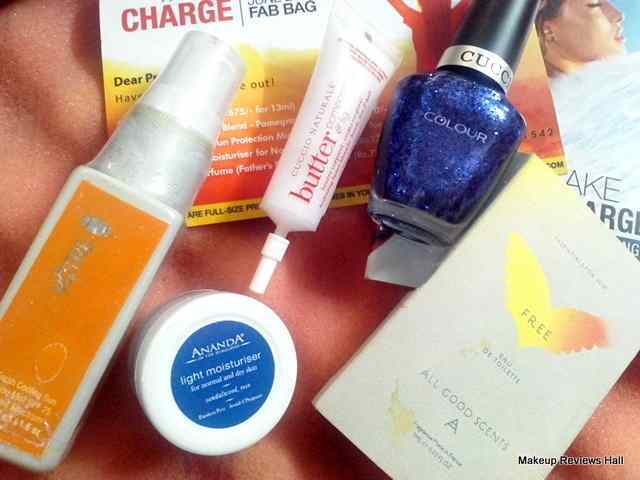 I was little late in updating review of last month's May Fab Bag because of little late delivery of the bag because of slight change in the schedule but this month June has got the delivery back to the schedule. I received my Fab Bag yesterday and here I'm to share it with all. The first look of the bag made me wonder that why this time the bag is little smaller in size than those received in previous months but still you cannot ignore the beauty of this June months bag because of its beautiful leather touch this time. Take a look at the Fab Bag June 2015 below. 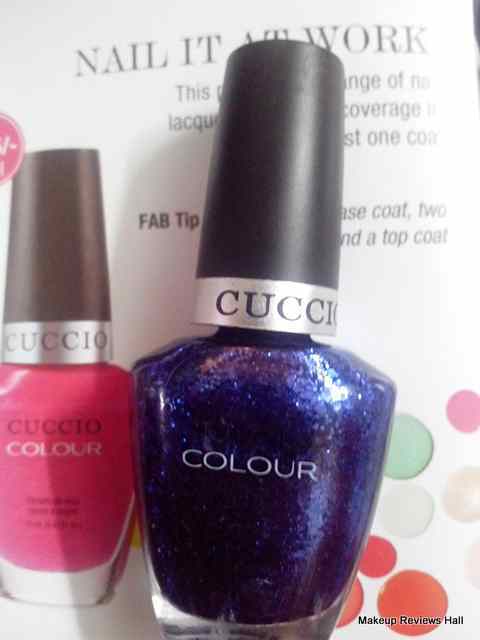 Cuccio Color - Gala - Rs 675/- for 13 ml. Cuccio Naturale Butter Blend Pomegranate & Fig Cream - Rs 2970/- for 240 gm. 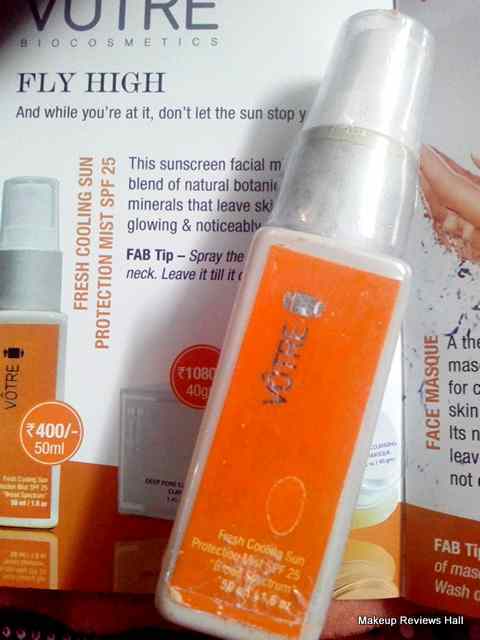 Votre Fresh Cooling Sun Protection Mist SPF 25 - Rs 980/- for 100 ml. 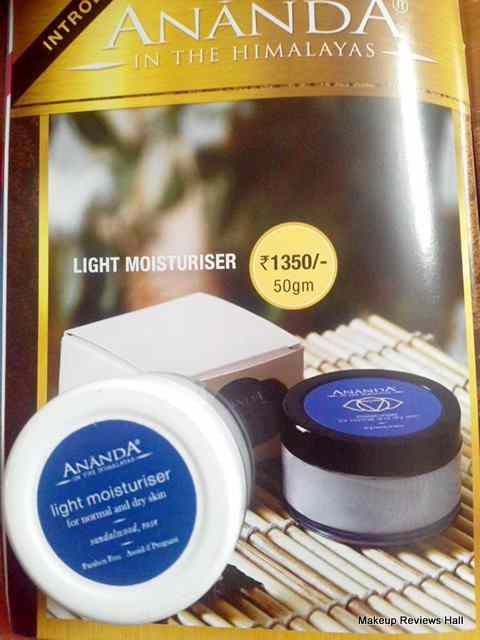 Ananda Spa Light Moisturizer for Normal to Dry Skin - Rs 1350/- for 50 gm. 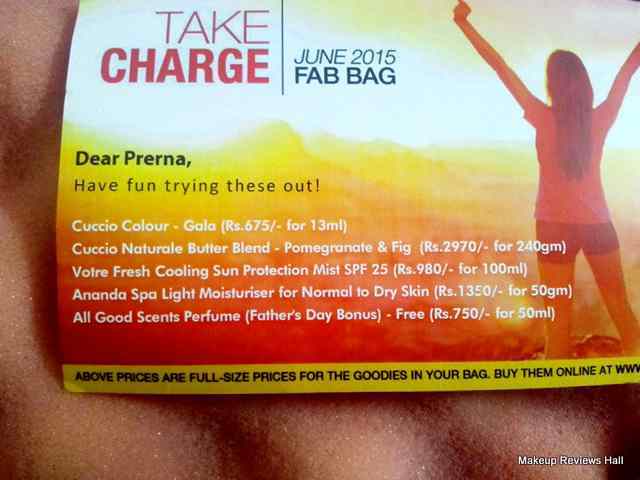 All Good Scents - Perfume - Father's Day Bonus - Rs 750/- for 50 ml. The product I liked the most this time is this Votre Fresh Cooling Sun Protection Mist SPF 25. Till now we have used sunscreens in cream form, most of which turn out to be greasy. So I think this mist sun protection would be a perfect try for my oily skin in this summer spring season for a light texture and feel. Stay tuned for the review of this soon. This is the next attractive thing in the bag i.e Cuccio hand, feet and body cream full of natural wonderful ingredients like fig, pomegranate and butter for a perfect moisture. The packaging of this is very cute in a tiny white colored tube which looks very travel friendly and convenient to use. Though its little expensive for the quantity but I am sure once I try this, I would know its actual worth and soon after that I would update its detailed review for you to decide if its worth buying or not. This beautiful dazzling royal blue shade named Gala from the same brand Cuccio steals your eyes on the first look of the products inside the back because of such a beautiful sparkling shade. I have received this in royal blue Gala shade but there are many other vibrant shades to choose from. I would soon be uploading the pictures of the shade& how it looks on the nails actually. Stay tuned. 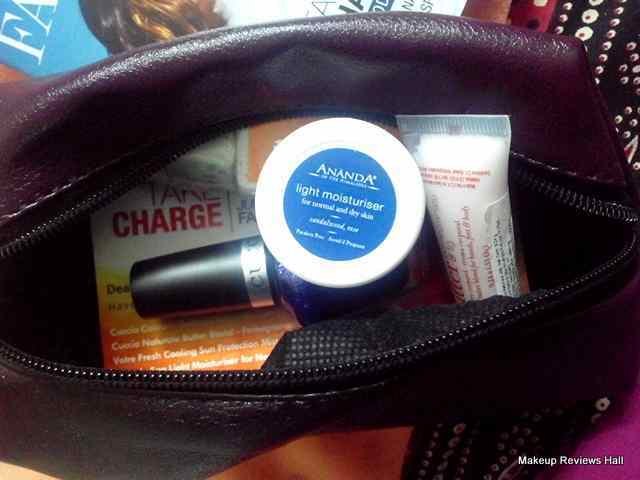 This light moisturizer from Ananda comes in a pretty cute round jar in white color. The jar is transparent and would be perfect for reuse. This light moisturizer is mainly made of sandalwood and rose and has the fragrance is very similar to that of rose water. The best part being it's Paraben free and would be great to try on my sensitive skin. Last but not the least I have thus free Eau De Toilette from All Good Scents. Though the packaging of this is least attractive at first look because of slightly dull off white cover in a pocket diary form but the fragrance is simply sensuous. I swear you cannot keep your senses in control once you open the cover, it's so mesmerizing and I just love the fact that it comes in cute spray bottle which is very convenient than the regular glass ones with a lid. So this was all about my June Fab Bag 2015, it's products and contents with a brief discussion of all. I would soon be updating you with the review of these, till then you enjoy your products, leave the comments in case of any queries and don't forget to subscribe to the Fab Bag Subscription, of you haven't till now. 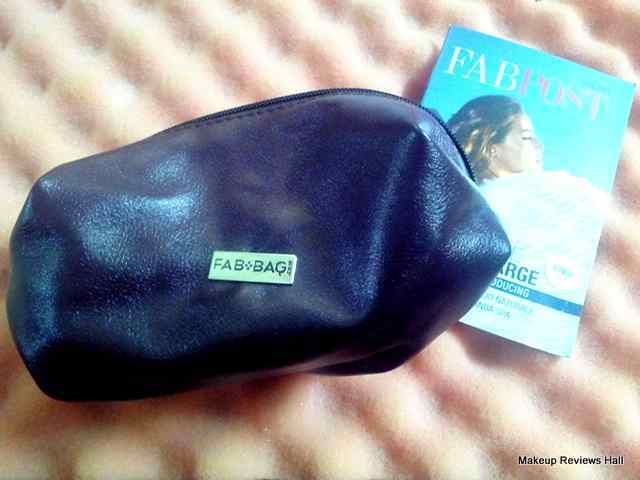 Labels: FAB BAG, Fab Bag June 2015, Fab Bag Review. I loved the june fab bag, you got the gorgeous nail color.